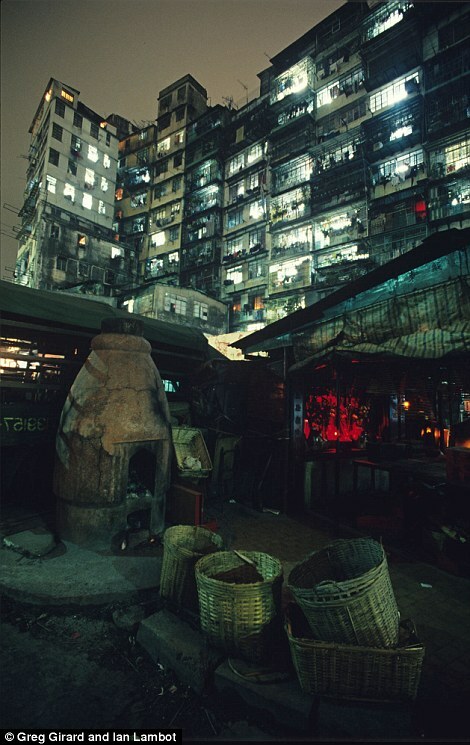 Photo from Greg Girard and Ian Lambot's series of images of Kowloon Walled city. Andrew Osborne recently pointed me to the following link about Kowloon Walled City. Kowloon walled city grew up in the no-man's land between the People's republic of China and Hong Kong. It started as a walled fort built by the British, but, abandoned, it was taken over by thousands of the poorest of Hong Kong, and grew into one of the densest slums anywhere in the world. It constituted 500 buiudings, built into 2.7 hectares, and at its height by 1990, it had 50,000 inhabitants - a population density of 1.9 million people per square kilometer - putting Hong Kong's overall figure of 6,700 people/sq. km to shame, and even out-doing Mongkok's 130,000 per sq. km figure by a factor of over 10. Outside the operation of the legal system, KWC was rife with drug-dealing and prostitution, and was dominated by armed gangs. Its streets mixed markets with unlicensed doctors and dentists. There were no organised refuse or sanitation systems. The building towered up, beyond architectural control, so that aircraft landing at Kai Tak airport had to alter their flight paths to avoid it. But in site of its lawlessness, according to a recent article in the South China Morning Post, marking the 20th anniversary of its demolition in 1993, "many of Kowloon Walled City's former residents remember it fondly. It may have been a City of Darkness to outsiders, but to thousands who called it home, it was a friendly, tight-knit community that was poor but generally happy." The article (and that little sentence in particular) remind me of the "Tenement Film" genre in Hong Kong cinema, which celebrated the humour, solidarity and resourcefulness of slum communities. 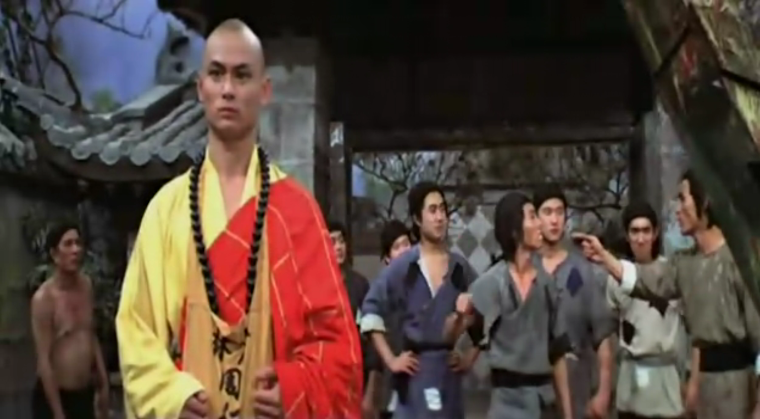 Most famously, of course, House of 72 Tenants, both Chor Yuen's film of 1973 (which kept Bruce Lee's Enter the Dragon off the top spot at the box office that year), and the original of which it was a remake ten years earlier. Here's a trailer for House of 72 Tenants. "In a time of social unrest and disorder the gangs have moved in to consolidate their power. The most feared of them all is the Axe Gang. Only in the poorest districts, which hold no interest for the gangs can people live in peace ... PIG STY ALLEY"